Post up as many as you like, please just keep it to bottom tier battles only. Thanks. Edited by killer etzi0, 18 March 2016 - 03:57 PM. Have you tried sobbing uncontrollably? I've found that that helps great in many situations. So yeah, even when SLOW in bottom tier can work. Can't post the picture for some reason, but one of my better bottom tier games as of late came in the Mt-25 on Murovanka where I did 3.3k damage in a tier 9 game. 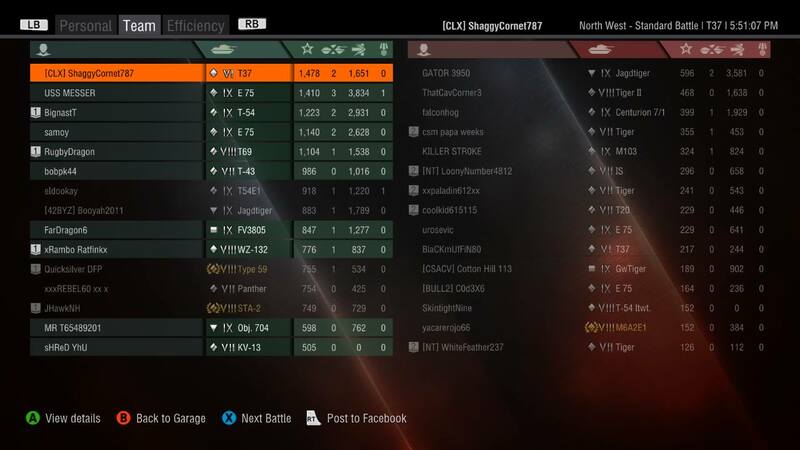 So, I don't want to hear anybody complaining that they can't do anything to a tank 2 tiers higher since that match I circled and killed an E-75 for half his health and the kill. WN8:4100 Twitch My Youtube LTTB Guide Ru 251 Guide Batchat 25t. Knot3D, you're setting a high standard here! Thanks... yeah... i have my occasional moments in those slow British beasts. Don't even need/have a Black Prince. I'm a bit of a forum noob so don't know if I've linked the images properly. I was gutted to lose this but still and epic match. Edit - fixed the screen shot links. Edited by BadgerShock, 26 April 2016 - 12:41 PM. To me the lose matches are just as important if not more so, to show the guys that give up during spawn in because they are just positive the battle is already lost before it starts... you can still have a awesome game even in loosing efforts. My first post in this thread was a loss.... just sayin. Yeah agreed. I still got loads of XP, GG messages and was chuffed with my efforts. Lets see some more pics, it's ok to brag in this thread, we gotta do something to get through to the "woa is me I am bottom tier" crowd, and, indirectly, the "lets cap that flag quick crowd.."
I will never argue youcan't because I have...but it's damn rare guys. .unless you are better than average. Not really, some tanks it's "easier" than others, Hellcat and T29 would be examples of tanks that do very well 2 tiers down... 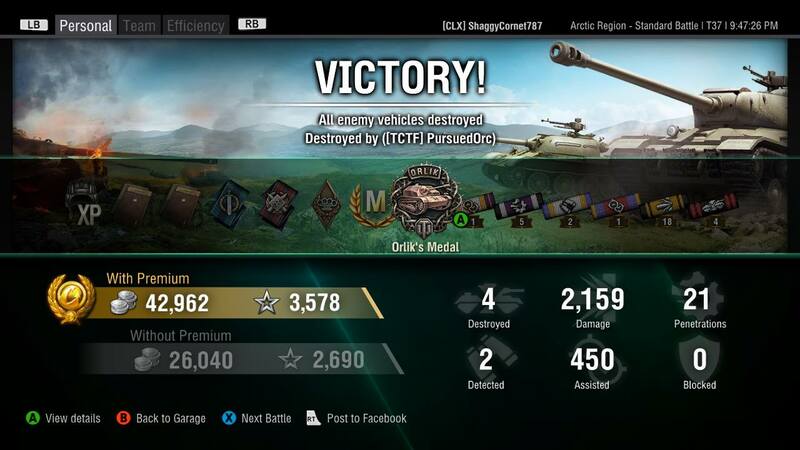 I would say pulling it off in any Tier VI or VII light in a Tier X battle is much more difficult.